P1 Group is in full-swing with its 100-year celebration, and Senior Estimator Joe Camren has been around for more than half of it. One of P1 Group’s longest-tenured employees, Joe started as a plumber apprentice in the field in 1966 (with founding company A.D. Jacobson) and is still going strong as a senior estimator at corporate headquarters today. In a recent Q&A, he shared his observations about his work, his company, and what really makes a person successful. P1: Over the years, where has your career path at P1 Group taken you? JC: Near the end of my plumbing apprenticeship, I became the foreman on several projects at what was then Independence Medical Center (currently Centerpoint Medical Center). When the project was completed, one of the A.D. Jacobson founders, Elliot, asked me to work in the office as a plumbing estimator/project manager. Around the same time, the Plumber’s Local Union #8 asked me to be an instructor at the Plumber’s Training Center, where I taught for the next 20 years. I was also assigned the task of plumber manpower coordinator, which I did until the current manpower management system was adopted. When the company formed the Central Estimating division several years ago, I became a full-time mechanical estimator and still hold the position today. P1: What has kept you at P1 Group this long? JC: I have loved, and still love, every aspect of the jobs I’ve had and the job I have, from the field to project management and estimating to training/managing/interacting with associates through the years. I have been blessed by God to have the good health and ability to keep performing my job well. Throughout all its history, this company has been top-notch in every way. 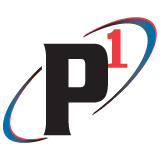 P1 Group has a stellar reputation among peers and customers, absolute integrity, and upper management that truly wants the best for associates. It’s not surprising to me that everyone I run into wants to work for P1 Group. P1: What are some of the great moments you’ve experienced here? JC: I have to admit that it was a little scary to go from the mom & pop version of our company to such a large corporation, but it has been a great pleasure to watch this develop over the years. I still miss the old days, but that’s what you do when you get to be my age! P1: What are some of the most significant changes you’ve seen take place over the years to improve our work and our industry? JC: Safety, Safety, Safety! Back in the day, there was often reliance on the unions to conduct safety training, and it wasn’t ideal. Safety was important, but there was a lack of commitment to training the entire workforce. P1 Group has stepped up to this costly but imperative commitment, leading the way in our industry to provide a safe workplace for ALL associates. P1 Group has also stayed on the cutting edge of technology, which is how we can provide a quality product at competitive prices. P1: What do you think are the most valuable traits someone can bring to their job? JC: I’ve hired many employees for this company over the years and reliability is key. I look for those not just with mechanical aptitude, but those who are reliable, steady, and dependable. I’ve always told prospective employees we aren’t looking for geniuses, if they have a good attitude, do their best work, and show up on time every day, they will do well and succeed in this industry. P1: What words of advice do you have for the next generation considering this industry? JC: There is a great need for more people in this industry – go for it! Most people can start earning an above-average income in just a few years. I’m just a country boy from northern Oklahoma and this industry has allowed me to do very well in life. My wife and I have raised three children and are enjoying our five grandchildren and seven great grandchildren (with more on the way).